This ongoing, monthly class focuses on creating comfortability and confidence onstage through interactive improvisational games. Learn how to engage with your audiences better, create hilarious moments of spontaneity within your act, challenge your comfort zone, and practice improv games that will enhance your writing muscles and overall approach to comedy. Work multiple times each and every week, honing new skills that will pay off whether you are on, or off the stage. Time-tested Improv games have been proven to make individuals more engaged and empathetic in any situation. Register Today! Limited class size. Saturdays starting September 8 from 2 - 4:30 PM (September 8, 15, 22, 29). All classes held at the Ice House Comedy Club (24 N Mentor Ave, Pasadena). 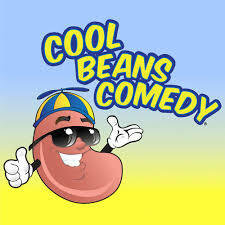 For additional information, contact the Registration Office at: info@CoolBeansComedy.com or (626) 344-9519. Your Coach: Alexandra Catalano is a graduate of the University of Southern California, and The Upright Citizen’s Brigade Theater’s Improv Training Program. She is a professional improviser of both long-form and musical improv, and has trained extensively at The Groundlings, Improv Olympics, and MI Westside, while performing regularly at clubs across Los Angeles.